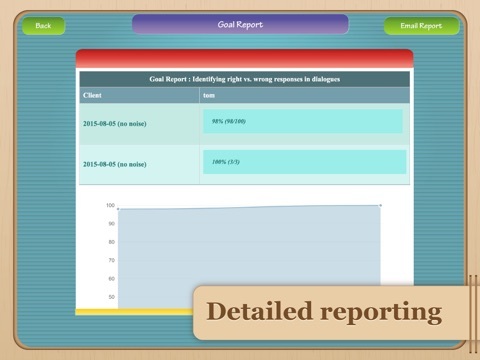 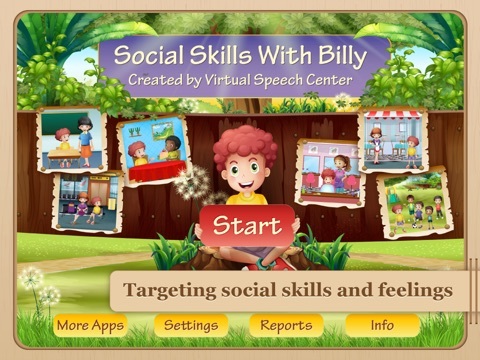 The Social Skills with Billy app was designed by a speech pathologist to allow children with autism to practice their social skills and pragmatic language in real-life situations and to practice identifying various feelings. 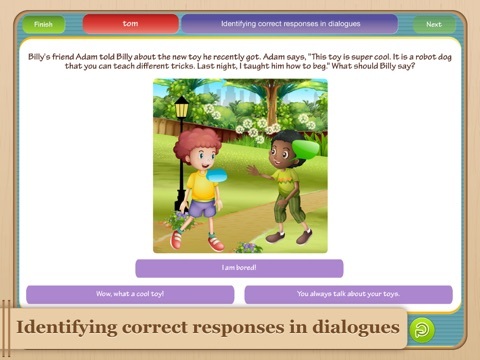 To practice social skills and pragmatic language, children are presented with over 100 real-life situational dialogues pertaining to birthday parties, school, home, restaurants, a hairdresser, a department store, a library, a doctor’s office, a dental office, family dinners, baseball games, play dates, airports, a garage sale, Halloween, Valentine’s Day, a New Year’s Eve party, visiting a sick grandmother, a field trip, a new baby, general conversations, making new friends, family vacations, and peer conflicts. 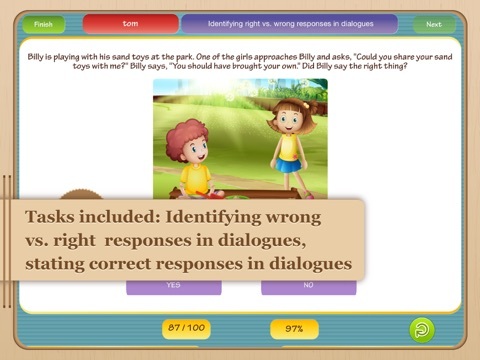 To practice identifying feelings, children are presented with real-life photos and short case scenarios.